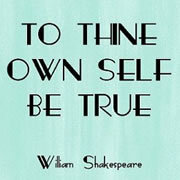 'The Tempest' is considered to be Shakespeare’s final play. Summaries of Shakespeare’s plays do not do justice to the beautiful and poetic language he uses, however they help to understand his stories. Playhouses in the Elizabethan Era, also called the Tudor Era, were a popular form of entertainment. In those days, it was quite a different affair. Despite 450 years since his birth, Shakespeare's coined phrases and sayings are still being used daily.